Guess what I finished on Christmas Day? The Cygnus Vanilla Socks are done! 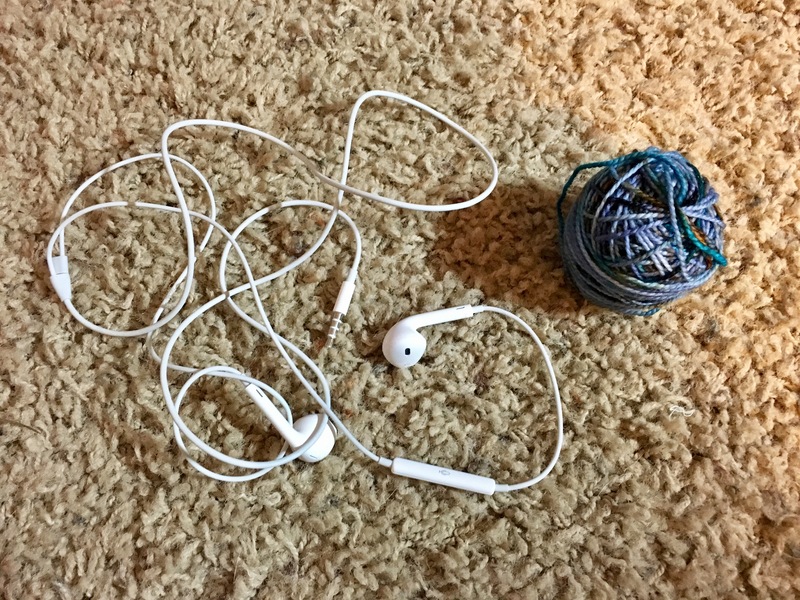 I used 98 grams of the 100 gram skein leaving just enough leftover for future sock mending. 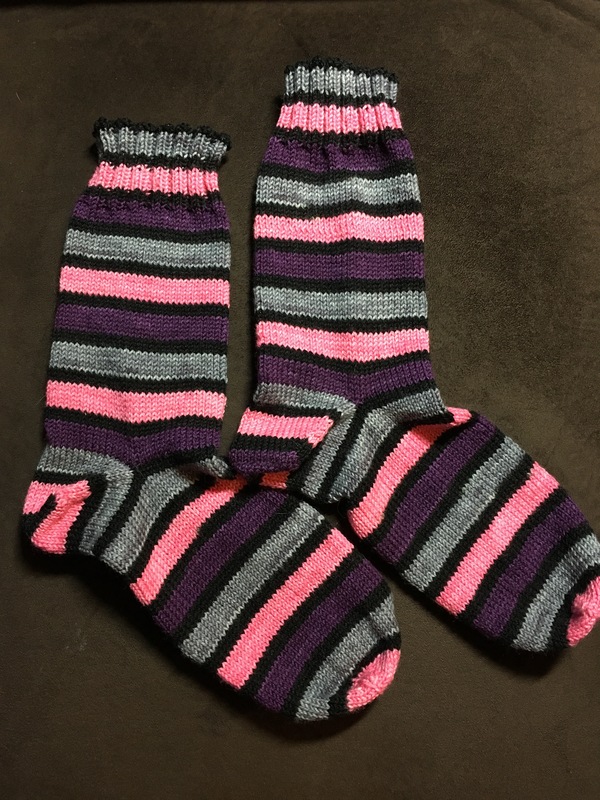 They are snuggly and warm and boy, do those stripes just POP! 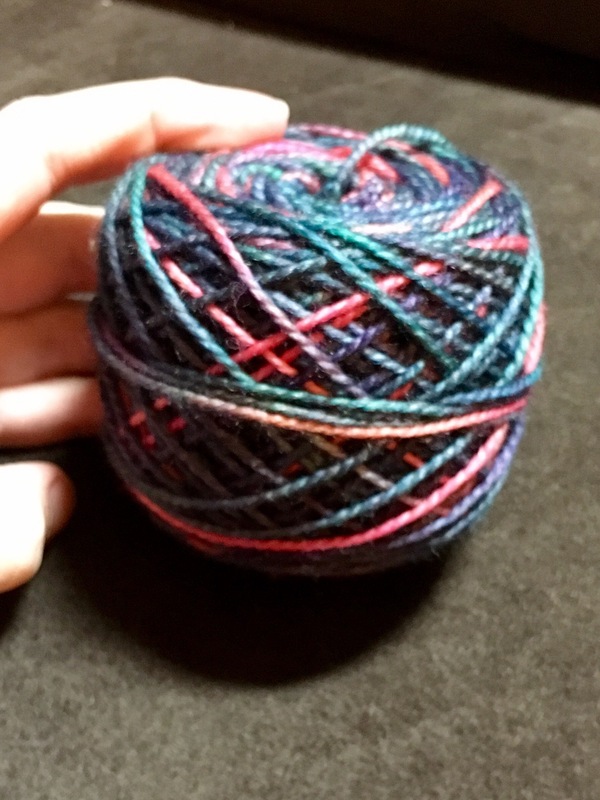 String Theory Colorworks is definitely one of my favorite dyers! I have a FO later this week to share but in the meantime I want to show you my Christmas Day cast on project! I pulled the Hawthorne Sport in the Happy Valley color from my stash as we dashed out the door for our Christmas travels. I knew I had the right needles in my bag to start another pair of sport weight socks. So while Jellybean was taking a post-Santa coma nap (p.s. Christmas with a little person is SOOOO much fun!) 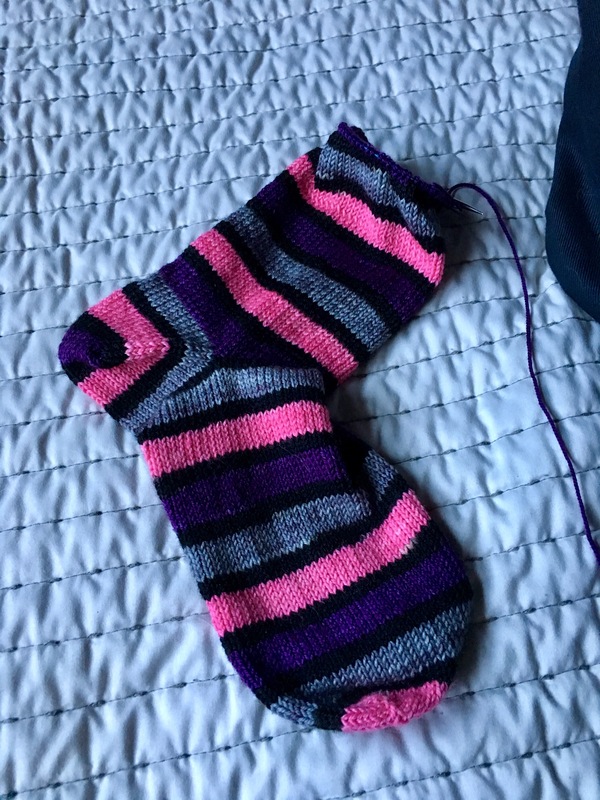 I got my needles clicking on a vanilla toe up sock! 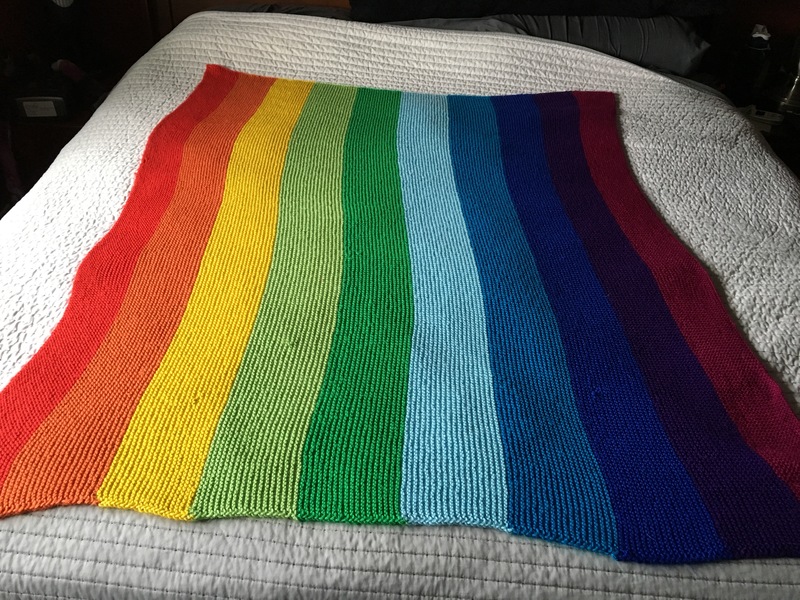 I finished my Mighty Rainbow Blanket! All glorious 2,080 yards of squishy garter stitch is done done done! I’m soooo happy with this project. It’s soft, it’s huge, and it’s warm! I didn’t remember to measure this for a finished measurement but it’s all of 10 skeins of Knit Picks Mighty Stitch. This project scored me 600+ points in the Pigskin Party KAL too! I just can’t wait to cuddle under this while the snow falls! Santa and the family hit my wishlist hard at the Loopy Ewe and I might have squealed out loud! I have Abstract Fiber, Into The Whirled, Berry Colorful Yarnings, and Fibernymph Dyeworks. 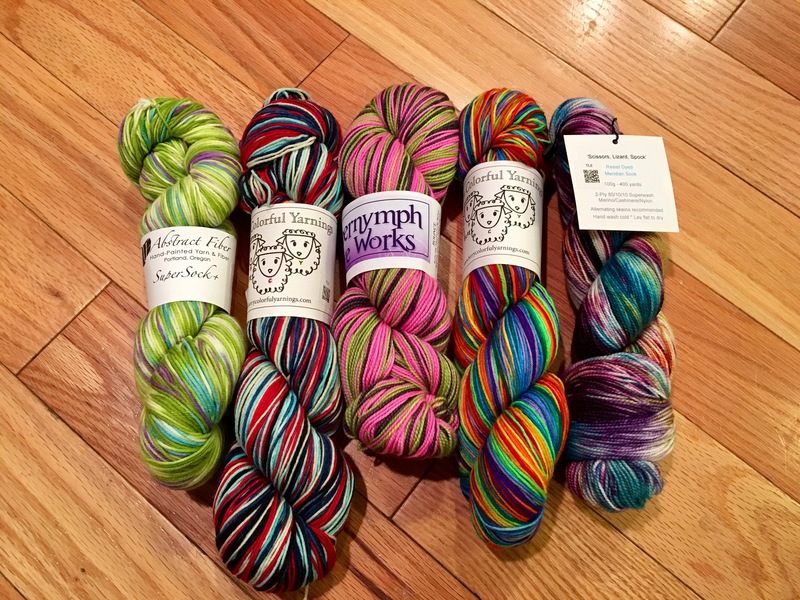 I died and went to yarn fume heaven. I hope you and yours had a safe and magical Christmas! Happy Knitting!! 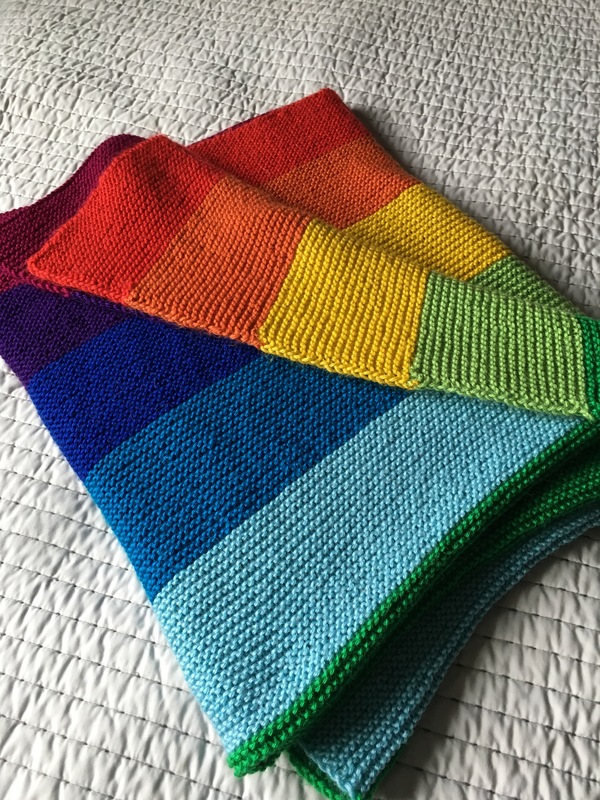 It’s Christmas Eve and Mighty Rainbow Blanket is down to the last color! I don’t think I’m going to make my wild goal of being done for Christmas but for sure I will be done this year! So I’m going to snuggle in front of the fire and await the arrival of Santa! 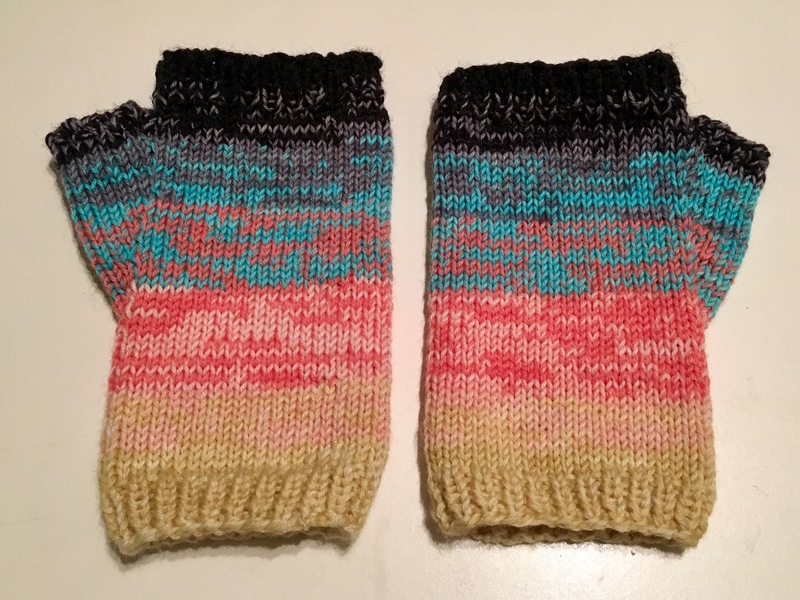 I had some surprise kid free time this week and I managed to finish the Gradient Mitts! I was SUPER excited how these worked up. 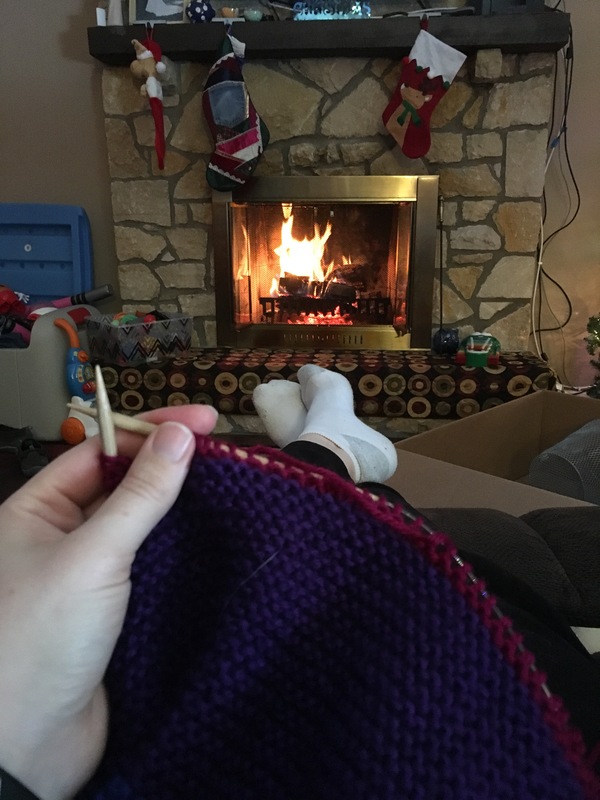 The yarn held double makes them super warm. They aren’t as long as I normally make fingerless mitts but I kinda like that. My son has already stolen them as play things! Bonus to this is that I used most of the kit from stash, these counted towards the December minis interception for the Pigskin Party KAL, and I have new warm mitts! I admit all the focus on my Mighty Rainbow Blanket has made me yearn for other projects. 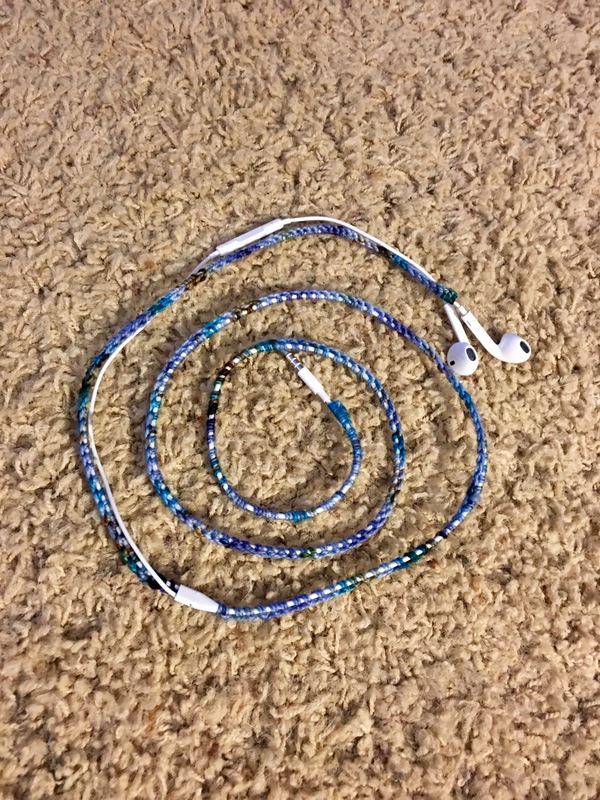 And with my wrist being sore I needed a lighter project than my super heavy blanket. I’m sooo close to done so I indulged myself a little and pulled out my Cygnus Vanilla socks! 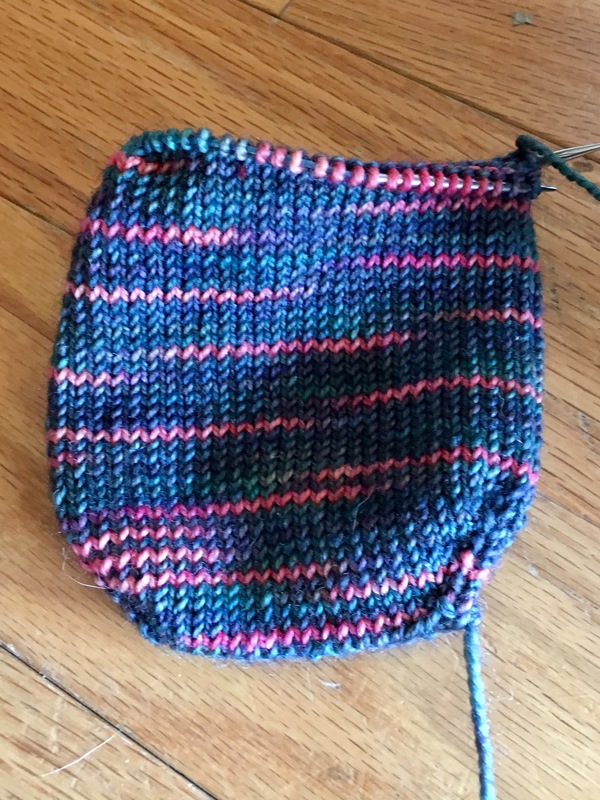 I pulled the yarn from the other end of the cake and installed the afterthought heel. After lots of trial and error I’ve found a formula of sorts for my heel. 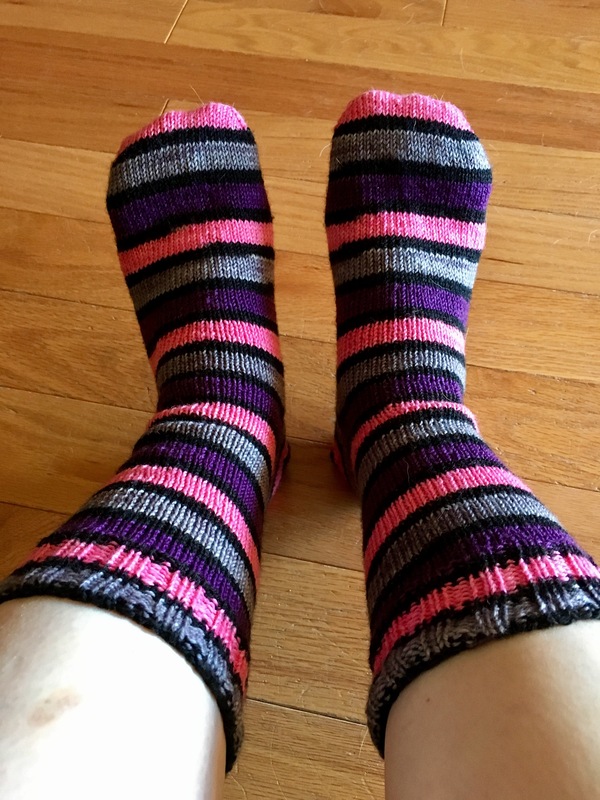 Instead of straight knit one round and decrease one round combo I have found a combination of multiple knit rows to a single decrease row that adds depth to the heel for a better fit. I’ll try to put notes in my Rav project for those with inquiring minds. For now I’m off to finish the leg of this sock. With sport weight yarn it shouldn’t take much!! I managed to aggravate my wrist by baking and lugging heavy things these past few days. Nothing serous but it’s sore and hurts when I move it wrong. 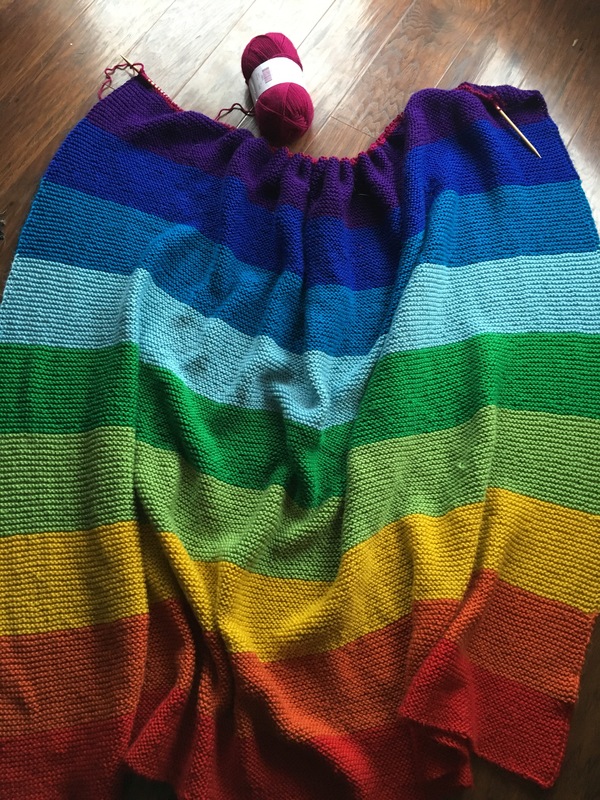 I’m sure knitting on my 10 pound rainbow blanket isn’t helping either. 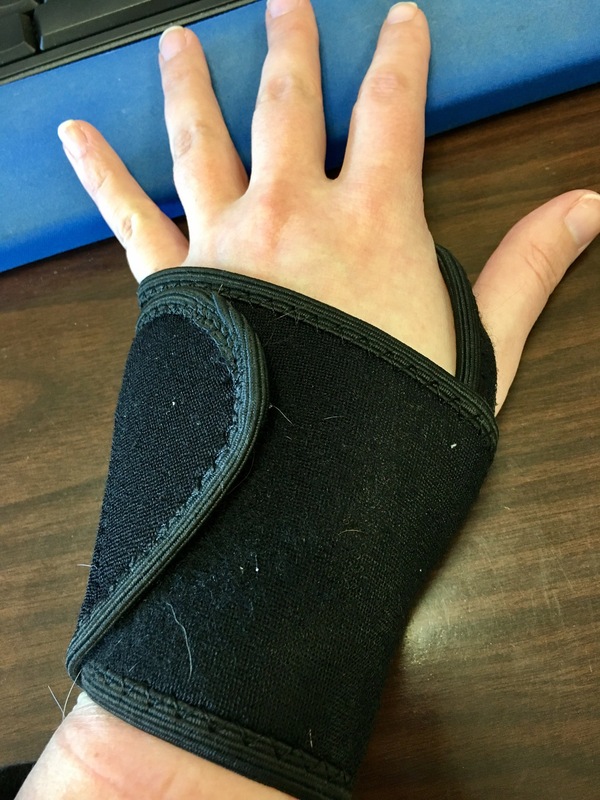 I am resting/icing my wrist and using a brace to give it some support. I’m hoping this just lasts a couple days because I have knitting I want to do!! 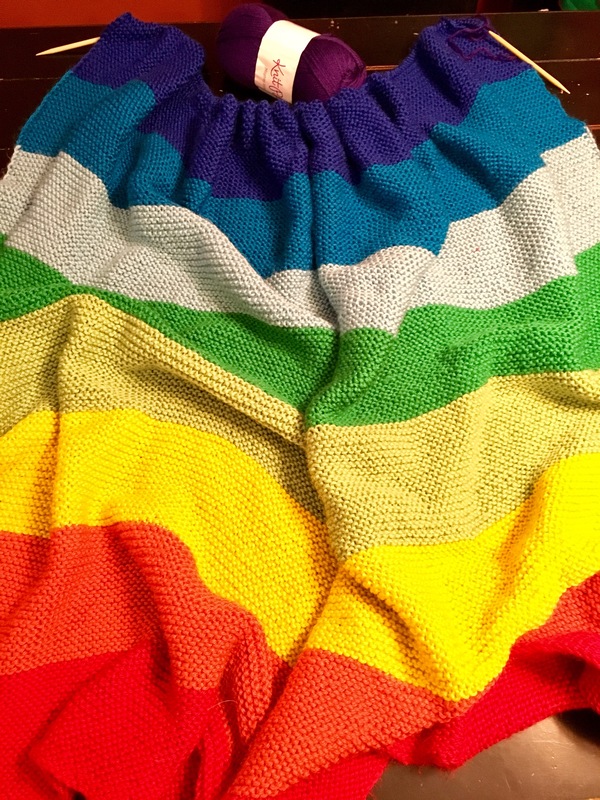 My Mighty Rainbow Blanket is officially 80% done! I managed to squeeze in two blue stripes since my last update. I finished the Gulfstream and the Celestial. I’m just about to start the first purple stripe called Eggplant. This has been my main project these past few weeks. I’m really really hoping to get this done very soon. Only two skeins to go!